Today is Good Friday. I just arrived home, back from church where I attended a special religious service in which we heard a reading of a Passion according to Saint John. A choir sang beautifully. My parish is an ancient gothic church (XIII Century). While we were praying, a group of tourists entered and began to take pictures around. We continued as if nothing happened. They’d probably seen us as another tourist attraction. A bunch of people sitting in benches listening silently to a priest in front of an ancient cross. I’m used to tourists wandering around. So I wasn’t distracted. They love to photograph high columns, pointed arches, medieval sculptures, stained glass windows, rosettes. I love to contemplate those things. Their beauty gives me peace. Helps me pray. It is part of my culture. Part of my life. Today I realised I have never made photos inside the church. 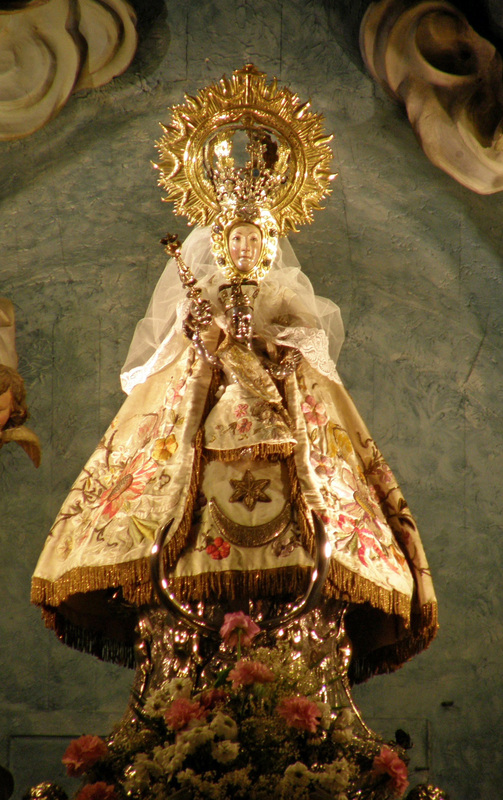 Only once I took a picture of an Image of Saint Mary Virgin (Twelve Century), city patroness. With this I guess I just wrote a post without three-letter words. I’m impressed, only one three letter word! Oops! I failed! I’m going to correct that!